Discover the prices of Hotel Lodge La Petite Couronne, 3-star hotel in the Southwest of France, below. The prices below are valid until December 31st 2019 and depend of the season. The amounts are per room per night and include breakfast, VAT and tourist tax. Children in the age until 4 years old can stay for free at their parents room (max. 1 child per room). Children’s bed available. Extra bed for children > 4 years and adults: € 45. By our newly opened restaurant L’Auberge du laurier, located across the street from our hotel, it is possible to stay with us on the basis of half board. The price of half board is € 31 per person per day extra. Your menu includes a starter/main course/dessert and a cup of coffee. You can check in daily from 15:00 pm till 19:00 pm. We ask you to respect this hour of arrival, which gives us the opportunity to prepare the room for you in time and welcome you in a proper way. Arrival after 19:00 pm is possible. Please let us know by telephone. On your day of departure, please check out before 11:00 pm. We would like to note that Hôtellerie La Petite Couronne is smoking-free. 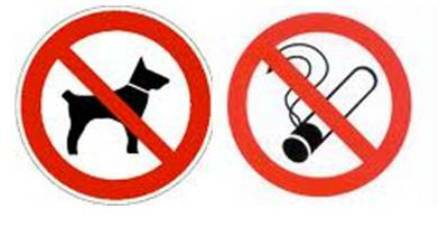 Pets are not allowed (with the exception of assistance dogs). Our terms and conditions apply on all of our services.